I pak dau de ştire...: A fost sau nu a fost ucis Bin Laden? A fost sau nu a fost ucis Bin Laden? What do captured al Qaeda documents reveal? 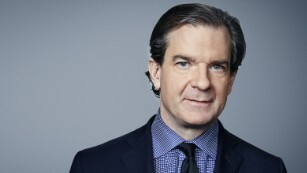 Peter Bergen is CNN's national security analyst, a vice president at New America and a professor of practice at Arizona State University. He is the author of "Manhunt: The Ten-Year Search for bin Laden -- From 9/11 to Abbottabad." (CNN) Seymour Hersh is one of the giants of investigative journalism. Early in his career he broke the story of the My Lai massacre during which hundreds of unarmed civilians were killed by U.S. soldiers in Vietnam in 1968. Hersh was still going strong after 9/11, breaking (along with "60 Minutes") the story of the prisoner abuses by U.S. soldiers at the Abu Ghraib prison in Iraq for The New Yorker in 2004. Now comes another blockbuster from Hersh in which he asserts, "The White House's story (about the 2011 U.S. Navy SEAL raid in Pakistan that killed Osama bin Laden) might have been written by Lewis Carroll." Hersh's article appeared in the London Review of Books, not in The New Yorker where he has been a contributorsince 1993. Because of Hersh's stature his article about the bin Laden raid attracted so much attention Sunday when it first appeared that the London Review of Books' website crashed. Hersh's major argument in his new report is that quite contrary to what Obama administration officials claimed in the wake of the bin Laden raid, U.S. and Pakistani officials were fully conversant about bin Laden's whereabouts in the northern city of Abbottabad, cooperated in his capture and then engaged in a massive cover-up of all this, involving officials at many different levels of government in both nations. U.S. Marines watch the announcement of bin Laden's death at Camp Dwyer in Helmand Province, Afghanistan. Times Square is filled shortly after the announcement of bin Laden's death. Students gather to celebrate at the fence on the north side of the White House. A passer-by looks at newspaper headlines in front of the Newseum in Washington. Danielle LeMack, left, Carie LeMack and Christie Coombs, who lost relatives on 9/11, pause during a ceremony to honor the victims on May 2, 2011, at the Garden of Remembrance in Boston. A visitor photographs the fence overlooking the crash site of Flight 93 in Shanksville, Pennsylvania, on May 2, 2011. Pakistani media and residents gather outside the bin Laden hideout on May 3, 2011. President Obama edits his remarks in the Oval Office prior to making a televised statement announcing bin Laden's death. Servicemen cheer from a lamp post as thousands of people gather at Ground Zero in New York City. Crowds celebrate with NYPD officers in New York's Times Square early on May 2, 2011, after the death of Osama bin Laden. Revelers gather at the fence on the north side of the White House. Afghans watch television coverage in Kabul announcing the killing of bin Laden. • That the 2011 U.S. Navy SEAL raid on the Abbottabad compound where bin Laden was hiding in northern Pakistan was not a firefight in which SEALs went into a dangerous and unknown situation, but a setup in which Pakistan's military had been holding bin Laden prisoner in Abbottabad for five years and simply made him available to the SEALs who flew in helicopters to the compound on the night of the raid. • An officer from Pakistan's powerful military intelligence agency ISI accompanied the SEALs on the raid and showed them around the Abbottabad compound, and the only shots fired that night were the ones that the SEALs fired to kill bin Laden. • A "walk in" to the U.S. Embassy in Islamabad tipped off the CIA that bin Laden was living in the Abbottabad compound, and it was not true -- despite the statements of multiple U.S. officials after the raid -- that the CIA had traced back one of bin Laden's couriers to the Abbottabad compound and built a circumstantial case that bin Laden was living there. • Saudi Arabia was financing bin Laden's upkeep in his Abbottabad compound. • A Pakistani army doctor obtained DNA from bin Laden that proved he was in Abbottabad, proof that was provided to the States so that all the supposed uncertainty -- cited by Obama administration officials after the raid -- about whether bin Laden was actually living in the compound was a lie. • The "most blatant lie," according to Hersh, was that "Pakistan's two most senior military leaders -- General Ashfaq Parvez Kayani, chief of the army staff, and General Ahmed Shuja Pasha, director general of the ISI -- were never informed" in advance of the U.S. raid on the bin Laden compound. In short, according to Hersh's account, President Barack Obama and many of his top advisers lied about pretty much everything concerning what is considered one of the President's signal accomplishments: authorizing the raid in which bin Laden was killed. Hersh's account of the bin Laden raid is a farrago of nonsense that is contravened by a multitude of eyewitness accounts, inconvenient facts and simple common sense. 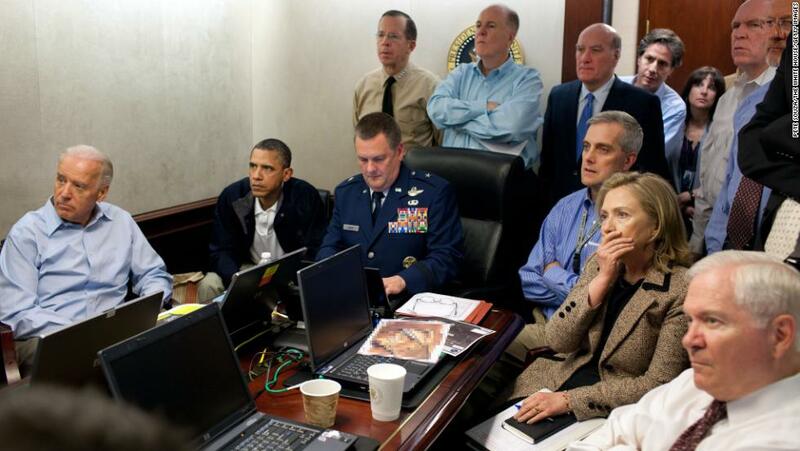 Let's start with the claim that the only shots fired at the Abbottabad compound were the ones that killed bin Laden. That ignores the fact that two SEALs on the mission, Matt Bissonnette, author of "No Easy Day," and Robert O'Neill have publicly said that there were a number of other people killed that night, including bin Laden's two bodyguards, one of his sons and one of the bodyguard's wives. Their account is supplemented by many other U.S. officials who have spoken on the record to myself or to other journalists. I was the only outsider to visit the Abbottabad compound where bin Laden lived before the Pakistani military demolished it. The compound was trashed, littered almost everywhere with broken glass and several areas of it were sprayed with bullet holes where the SEALS had fired at members of bin Laden's entourage and family, or in one case exchanged fire with one of his bodyguards. 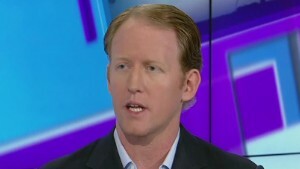 The evidence at the compound showed that many bullets were fired the night of bin Laden's death. Common sense would tell you that the idea that Saudi Arabia was paying for bin Laden's expenses while he was living in Abbottabad is simply risible. Bin Laden's principal goal was the overthrow of the Saudi royal family as a result of which his Saudi citizenship was revoked as far back as 1994. Why would the Saudis pay for the upkeep of their most mortal enemy? Indeed, why wouldn't they get their close allies, the Pakistanis, to look the other way as they sent their assassins into Pakistan to finish him off? Common sense would also tell you that if the Pakistanis were holding bin Laden and the U.S. government had found out this fact, the easiest path for both countries would not be to launch a U.S. military raid into Pakistan but would have been to hand bin Laden over quietly to the Americans. Indeed, the Pakistanis have done this on several occasions with a number of other al Qaeda leaders such as Khalid Sheikh Mohammed, the operational commander of 9/11, who was handed over to U.S. custody after a raid in the Pakistani city of Rawalpindi in 2003. So too was Abu Faraj al-Libi, another key al Qaeda leader who was similarly handed over by the Pakistanis to U.S. custody two years later. Common sense would also tell you that if U.S. officials had found out that the Pakistani officials were hiding bin Laden there is no reason the Americans would have covered this up. After all, around the time of the bin Laden raid, relations between the United States and Pakistan were at an all-time low because the Pakistanis had recently imprisoned Raymond Davis, a CIA contractor who had killed two Pakistanis. 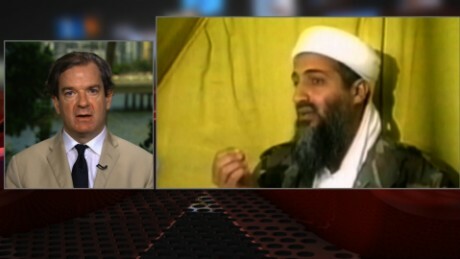 What did U.S. officials have to lose by saying that bin Laden was being protected by the Pakistanis, if it were true? The fact is that the senior Pakistani officials Hersh alleges were harboring bin Laden were as surprised as the rest of the world that al Qaeda's leader was living in Abbottabad. The night of the bin Laden raid, U.S. officials were monitoring the communications of Pakistan's top military officials such as Kayani and Pasha and their bewildered reactions confirmed that the Pakistanis had not had a clue about bin Laden's presence there, according to a number of U.S. officials I spoke to in the course of reporting "Manhunt," a book about the hunt for bin Laden. In his article, Hersh correctly points out that in the immediate aftermath of the bin Laden raid, White House officials initially made some false statements about the raid -- for instance, that bin Laden was using his wives as human shields during the raid -- but these were quickly corrected. The only source Hersh refers to by name in his 10,000-word piece is Assad Durrani, who was the head of ISI during the early 1990s, around two decades before the bin Laden raid occurred. Hersh portrays Durrani as generally supportive of Hersh's various conclusions. When I emailed Durrani after the Hersh piece appeared, Durrani said there was "no evidence of any kind" that the ISI knew that bin Laden was hiding in Abbottabad but he still could "make an assessment that this could be plausible." This is hardly a strong endorsement of one of the principal claims of Hersh's piece. Durrani added that he believed that the bin Laden "operation could not have been carried out without our cooperation." This glosses over the fact that the SEALs were flying in stealth helicopters through blind spots in Pakistan's radar defense and the Pakistani air force had virtually no capacity to fly at night when the raid took place, so in fact the bin Laden raid was relatively easily accomplished without Pakistani cooperation, according to multiple U.S. officials with knowledge of the bin Laden operation. All sorts of things are, of course, plausible, but in both journalism and in the writing of history one looks for evidence, not plausibility. Hersh has had a storied career. One hopes that he won't end it with a story about the Obama administration and the bin Laden raid that reads like Frank Underwood from "House of Cards" has made an unholy alliance with Carrie Mathison from "Homeland" to produce a Pakistani version of Watergate.